This article is updated on 4th March 2019. In efforts to provide our loyal followers with a more comprehensive and wider ranging perspective on the Early Childhood Care and Education scene in Malaysia, Kiddy123 recently made our way to Damansara Heights, a modern bustling urban commercial hub. Intrigued but with an open mind, we began peeling away the layers that made up the fabric and tapestry of Damansara Heights’ daily life. 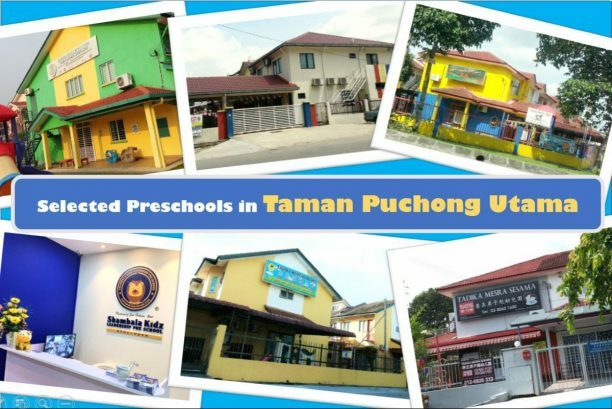 Not very far beneath its cold and impersonal exterior was a colourful, dynamic and progressive melting pot of preschool education – from one of the earliest established preschools in the country to one established only four short years ago, these are our selected preschools in Damansara Heights (Bukit Damansara)! Read also: Selected Preschools in Kota Damansara , Selected Preschools in Ara Damansara-Tropicana. 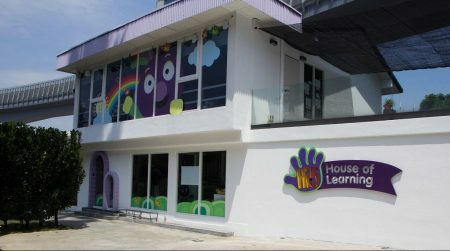 Hi-5 House of Learning is a unique addition to the local early childhood educational landscape. It offers a vibrant, diverse, globally-minded atmosphere within a setting constructed to prepare children to succeed academically and in the world beyond. Within it, the administration seeks to provide a model of instruction that hews to a close reading of the British International Preschool Curriculum, the educational theories outlined in the Australian children’s television series Hi-5 and the intentions of Howard Gardner’s Theory of Multiple Intelligences. The attention to play-based learning opportunities is prime among them. Spaces within are purposefully appointed to provide a setting conducive to learning for infants and children. The wealth of resources and facilities are an apt expression of the goals of the school. Key features include interactive smart boards, library corner, central exploratory learning space, soft play gymnasium, soundproofed music room, cookery room, salt chlorinated heated pool, rock climbing wall and outdoor adventure course. As such, children are engaged in an active, hands-on, interactive and cooperative environment. Roots & Wings is an early childhood education centre whose primary method of education is based entirely on autonomous learning - a Finland's inspired system of education that shifts the focus of education from teaching to learning; allowing each individual student a) takes primary responsibility for her/his learning needs and goals, b) personalises her/his learning objective based on her/his personal interests and academic strengths. If the hallmark of technologies in today's world is self-driving cars, autonomous learning is thus the future of education; with the aim of producing self-driving student. The children’s house (TCH) Batai is the oldest of its many centres, which was established in 1986 by the founder Nan Civel. TCH is today one of the undisputed leaders for Montessori education in the country. The neighbourhood around 5 Batai is peaceful and quiet although it is situated in the city centre. As is the norm at all TCH, visitors are required to register before they are allowed onto the premises. The interior is brightly lit, well ventilated and very spacious. The layouts of the different environments allow for ample space for the children to move about in. The child sized and children friendly furniture with well-resourced Montessori apparatus all neatly stacked on children height shelves makes TCH especially child centric. Food and meals are prepared fresh daily according to a set menu developed and designed by specialist nutritionists and teacher to student ration is as low as 1:3 for optimal learning. 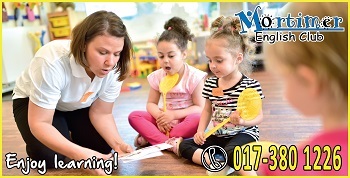 With a proven track record of over 30 years, TCH has gained the trust and recognition of parents and is often regarded as a Montessori preschool to nurture children into compassionate and well-balanced individuals who are confident, independent, socially adaptable, and above all, positive and lifelong learners. 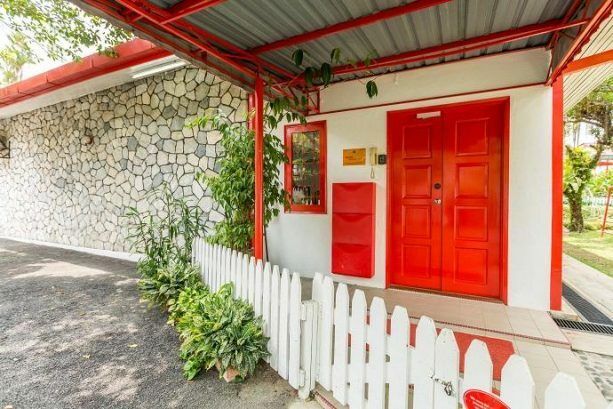 The children’s house (TCH), Bruas is nestled among the quiet streets and verdant greenery of Damansara Heights. With infants, toddlers and preschoolers in their care, there is always something going on somewhere every minute of every day. Once you walk through the big red double doors of TCH Bruas you will enter into a treasure trove of Montessori teaching and learning resources. 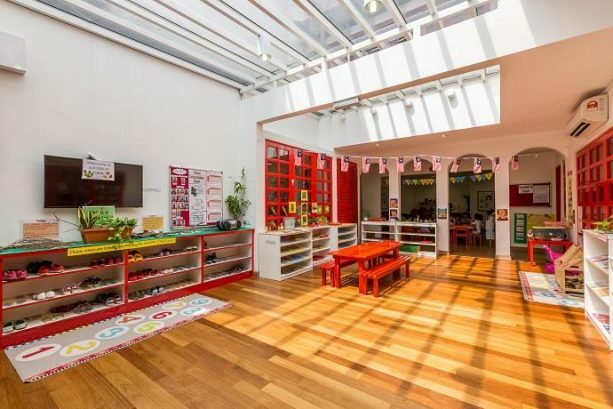 This is a ‘prepared environment’ where every area is purposefully designed and fully equipped with complementary Montessori materials to cater to the needs of each individual child, be it physical, social, emotional, intellectual or creative. Everything is designed to induce and nurture independent learning and exploration. There are also specially designed programmes for infants as well. These programmes have been designed to stimulate the babies and develop their sensory and cognitive faculties such as Baby Sensory, Baby Sunshine, Baby Art, Baby Massage as well as water play. The infant care area is a section on its own, at the back of the preschool where it is cooler, more shady and quieter. The environment is just as spacious, clean and well-resourced with its own play area, changing area, pantry and sleep area. Everything has been developed, designed and built with the care, comfort and well-being of the child in mind. In true Montessorian fashion, TCH Bruas developes a unique child that is independent, forward looking and has a passion for life-long learning. Villamaria Good Shepherd Kindergarten & Nursery, tucked away in a secluded corner of Medan Damansara, with fresh air, shady trees, decorative shrubs and flowers, covered walkways, and huge indoor and outdoor playgrounds, looks more like a holiday resort than a preschool that has been around for 60 years. The kindergarten curriculum follows the National Standard Preschool Curriculum, a child-centred approach is used in combination with thematic learning. For the pre-nursery children, it is a play-based approach incorporating some Montessori subjects. Villamaria’s extensive facilities include spacious and well-ventilated classrooms, learning centres in every classroom, computer lab, library, science garden, sand and water play, and large playgrounds. There is also ample space for extra-curricular activities such as gymnastics, ballet, Aikido, Kickers, creative art, robotics, and extra classes for BM and Mandarin. Every child that walks through the gates of Villamaria are instilled with the five core values of the school – respect, gratitude, integrity, compassion and zeal. The classrooms are also named after these core values as a reminder to the students, while teachers take every opportunity to introduce these core values in their lessons and to help the children put them into practice. Villamaria’s qualified and experienced teachers are committed to doing their best to care for the little ones and ensure an all-round physical, emotional and intellectual development for every child.